You’ve Got to be %@#$! Kidding Me! No, really, %@#$! 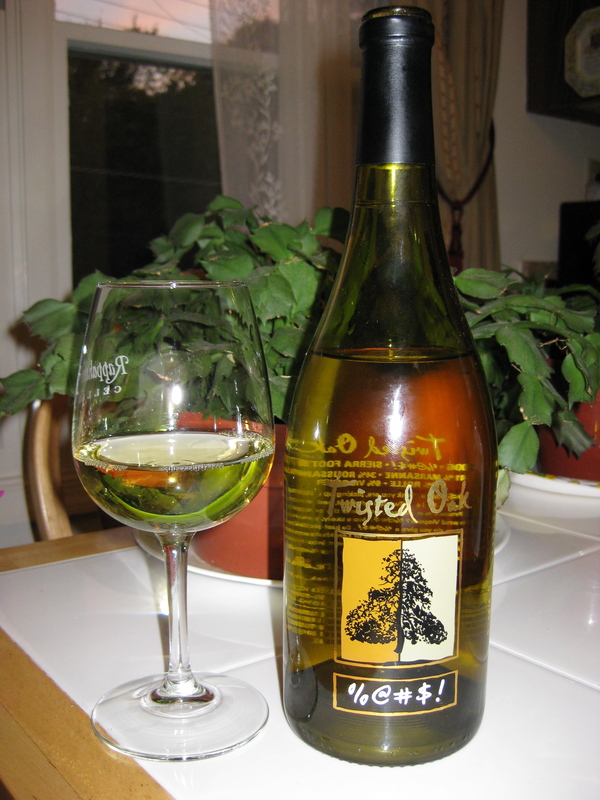 is the name of this white, Rhone-style blend from Twisted Oak Winery, aka Potty Mouth White. 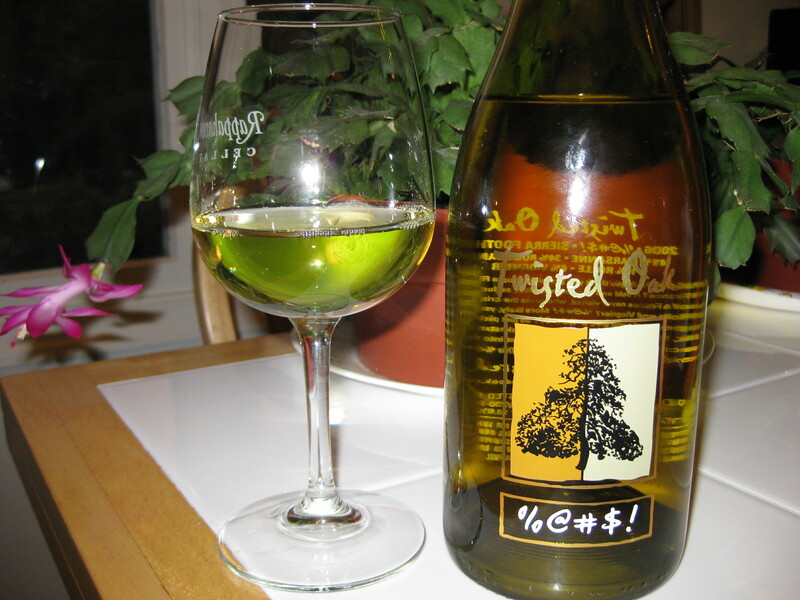 The 2006 Twisted Oak %@#$! is made up of 41% Marsanne, 34% Roussanne, 19% Rolle, and 6% Viognier. It clocks in at 13.6% alcohol by volume, came in a club shipment, had a real cork closure, and cost around $20. On the nose I found apple, pear, apricot, honey, and butterscotch. I could really smell the influence of the Viognier on the nose of this wine, even though the Viognier makes up the smallest percentage by far of the grapes in the blend. In the mouth I found apple, pear, pineapple, crab apple, vanilla, and baked apple pie. Overall, I thought the wine showed great acidity and had a huge mouthfeel. Silky, the Marsanne and the Roussanne seemed to really show through in the mouth, whereas the Viognier really lent itself well to the nose. I have no idea what Rolle tastes like independently so I can’t speak to what it adds to the wine!